This week the world had to say goodbye to the inimitable, irreplaceable Lynne Rivers Roper. Ella Foote and her friend Emma write tributes to the mermaid that broke the mould. “There was chocolate for breakfast, amazing words, brilliant photos shared, tributes written and of course swims dedicated to our dear friend and swimmer Lynne Rivers Roper this week. Lynne died peacefully with her mother Jenny at her side in the early hours of Saturday (13 August) morning after her battle with cancer fought with gumption and spirit only our Lynne could have summoned. Lynne was diagnosed with a brain tumour early this year, which she famously named ‘Hunt’ and wrote passionately and painfully honest accounts about in her blog https://outofmybrains.org/. Lynne often described the swimming community as her tribe and inspired many to plunge into unknown waters – with or without a costume – having only just met her! “Lynne’s approach to swimming was never about how far, how fast, how cold or any sort of tribalism within swimming,” says close friend Emma. 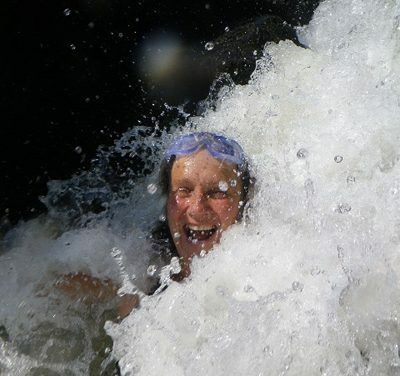 “It was the chance to connect with the outdoors, nurturing and life affirming and she hated bloody tow floats!” Lynne’s warming nature was just what was needed after a cool dip and if that wasn’t enough many were lucky to enjoy a homemade soup in her colourful cottage – door always open to friends and swimmers. Lynne’s last weeks were spent at St Luke’s Hospice on Plymouth Hooe. Friends, family, old colleagues, swimmers and similar souls flocked to her bedside to plan and plot escapes. Last week Lynne made it to a hydrotherapy pool for a dip and from friends it sounds like it was quite the event. 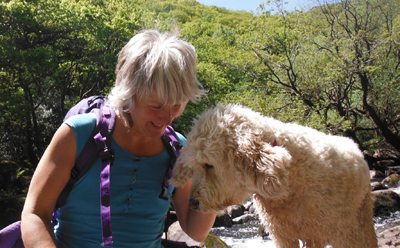 “Lynne Roper’s love of water was cemented during her Devon childhood, and it never left her. He early career was in the RAF and academia; when she moved on to become a long serving and well respected paramedic she fitted wild swimming around the shift patterns, saying that water washed away the stresses of that job. 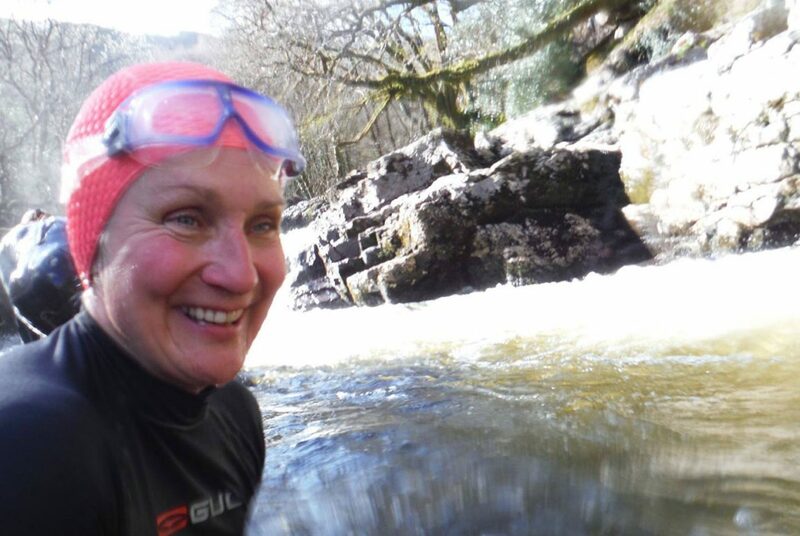 She immersed herself in wild swimming several years ago, turning to it to regain her physical and emotional health after a double mastectomy. She immersed herself in rivers, the sea, and the friendships formed through water; for Lynne, the two were inseparable. Her ability to connect with people, to see the best in them and draw that out was remarkable. She was a strong advocate for the inclusivity of wild swimming, for her it was never about how far, how cold, or how fast. It was always about the experience itself, and the connection with the wild environment. She gave many people the confidence to start wild swimming, to overcome fears and set aside anxieties about how they might look in a swimsuit. Her infectious smile, her ability to listen and her calm patience never faltered. Everybody who swam with her felt safe, and learned from her; she readily shared her ability to read water, her knowledge and her judgment. Lynne’s determination to fight for what she thought was right was never more in evidence than when writing her blog about her brain tumour. When she learned she was terminally ill she stepped up her efforts to highlight the impact of funding restraint on acute front line health services and social care, and she was fearless in relating that directly to her own situation. Her writing was sensitive, frank, funny and clever. As was she.